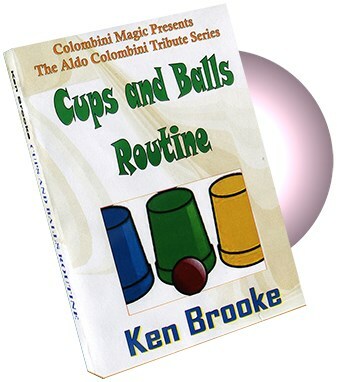 Here you have a unique Cups and Balls Routine, using just three cups and three balls with a surprising climax: The production of a fruit or vegetable. This routine of Ken Brooke's made him a reputation yet it is not difficult to do! Any three cups and any THREE balls (Not the usual FOUR) are used.